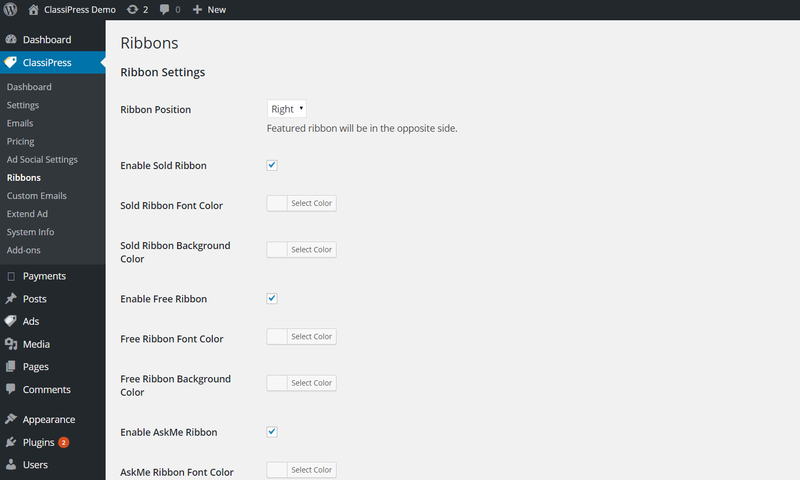 Ribbons supported: SOLD, FREE, AskMe, Featured, Discount. When is the sold ribbon is displayed ? When an ad is marked as sold. When is the free ribbon is displayed ? When an ad price field is 0 (not empty). When is the AskMe ribbon is displayed ? When an ad price field is empty (not 0). What is the USED tag ? The idea for the USED tag is to tag ads of second hand items. and then add this tag to all second hand items. How to use the discount ribbon ? 1. Add new classipress custom field ‘Discount’ and choose type ‘text box’. 2. Edit the form layout you want and add the discount field. Users can now edit their ads and write a number in the discount field to show a discount ribbon. This plugin doesn’t work with Classipress 4. Wanted to let people know so they don’t purchases it trying to use it for Classipress4. Author confirmed it has not been checked for version 4. I really like the look and manageability of this plugin. For the price it is an excellent addition and one that I wouldn’t do without. While I did have a couple of issues getting it set up and working correctly with my child theme, the support and help in getting it working properly was excellent. I am the first to admit that I am no expert when it comes to either WordPress or Classipress (new to both), but the developer responded quickly and always seemed happy to help me. While in most cases you probably wouldn’t need the help (I think it was a quirk with my child theme) I am happy to give this product, and the support that I received, 5-stars. Simple to use, works great with our style of website and nice to see it updated. Reasonable price as well. Great value for price, works nicly. only english is supported. you will have to translate the english pot file to have a different language. 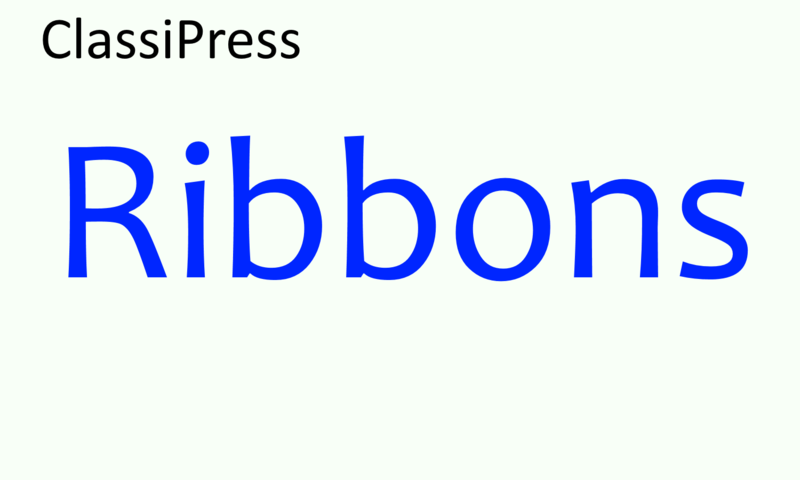 currently it’s not possible to charge for ribbon. not sure if/when this option will be available. Will this plugin work on a 3rd party child theme? it will require custom modifications. the functionality will work depending in the child theme calls needed hooks but you will probably need to edit css to fix display issues. Can I customize the ribbons to show the State or Country (location) of the ad poster? there is no such builtin option. this will require you to customize the plugin. With this plugin an ad can be marked as sold. Does the plugin add an status field to each ad? Is it searchable? I mean, can a user search something and restrict the search to adds not marked as sold? 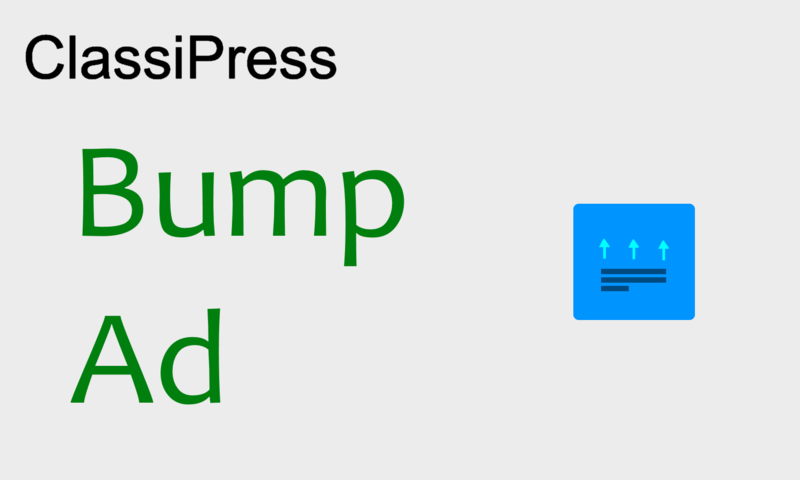 This plugin doesn’t add any search possibilities if not existed in classipress. 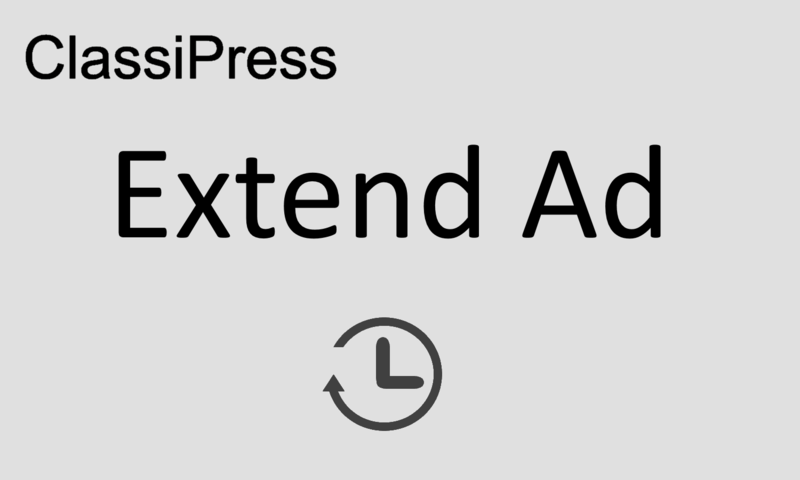 This plugin also doesn’t add the possibility to mark ad as sold as this already exists in classipress. 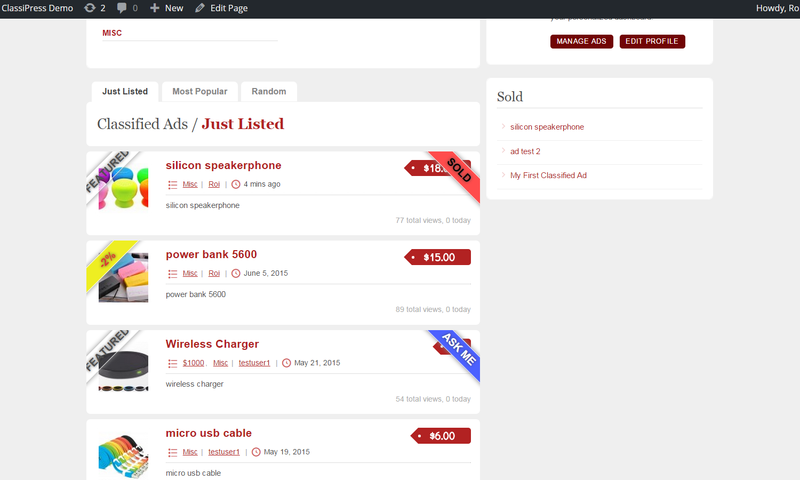 what it does it only add the ribbon Sold for ads user already marked as sold. I understand how the “sold”, “free”, “ask me” ribbon work but the “featured” ribbon, no? How it works? can i choose which ad i want to make it “featured”? hi elmahdi, this is part of classipress. 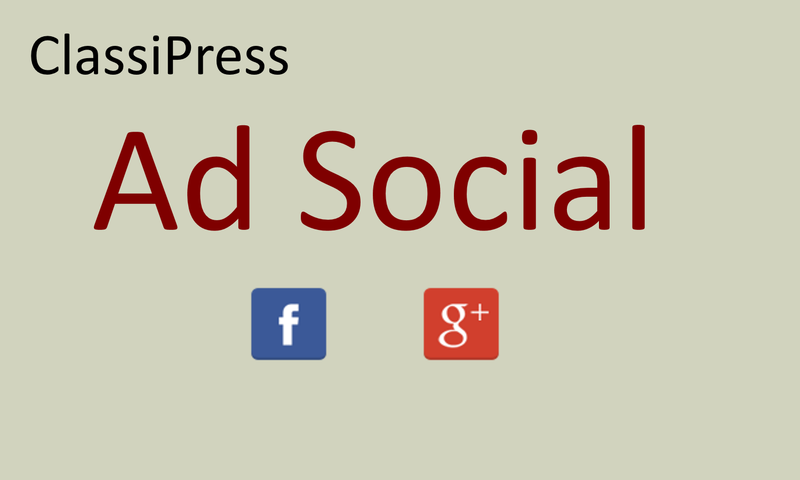 making ad as sticky from wp-admin will make ad as featured. I have posted for help on the forum as per the instruction under the support tab. I have tried to be patient, but it has been 2 weeks and I have not had a single response. The link to the thread asking for help is below. cally, i dont understand you did get a response but seem to ignore it. check again please. Before I buy the product to would like to know if it’s easy customize. Can i also use other words other than sold and ask? Just in case I need to put what I want. see the options page screen shot for what you can do there. for changing text you can translate the pot file to change the text you want to appear. Hi there, are these ribbons hard coded in Enlgish only? No. the plugin uses a pot file for translation. you can use poedit to translate it to whatever text you want. Does this plugin works in hebrew? hi yarono5, yes rtl is supported and hebrew translation already exists. Will this Plugin be updated to work with ClassiPress 4? If so, any idea when?